The Williams Wynn family were major landowners in north Wales and had a great influence on the political, cultural, social and literary life of Wales. The principal estate of the family was at Wynnstay, Ruabon, but they owned (and still do) much land in the Llangollen and Llantysilio area. At the Grand Banquet at Wynnstay in 1875 the tenants of all the Williams Wynn property in Llangollen and Llantysilio were invited to the feast. 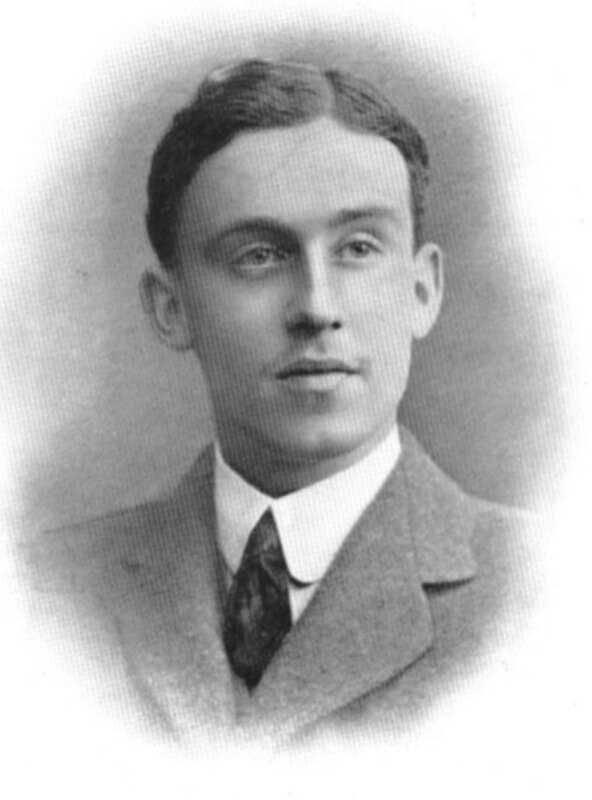 Shown here is a photo of Sir Watkin Williams Wynn in 1912. The Williams Wynns were an amalgamation of two important families. The Williams family were descended from Cadrod Hardd, Cheiftan of part of Anglesey. The Wynns can trace their pedigree in a straight male line back to Roderick the Great, King of North Wales, who was killed in the year 876. The two families were united in the early 18th century when the second Sir William Williams joined the Wynn family by marrying Jane Thelwall, grand-daughter of William Wynn, sixth son of the first baronet of Gwydir. These became the parents of the first Sir Watkin Williams Wynn of Wynnstay, who added the name of Wynn to that of Williams. The Myddelton family claims descent from Ririd Flaidd (‘the Wolf’), lord of Penllyn, Pennant and Bryn in Meirionnydd, who died in 1207. The English surname was adopted by a late fourteenth-century descendant Ririd, on his marriage to Cicily, daughter of Sir Alexander Myddelton, lord of Myddelton in Shropshire. By the mid 16th century, several members of the family were in high office in Denbighshire.Sir Thomas Myddelton (1550-1631) was one of the sixteen children of Richard Myddelton, governor of Denbigh Castle. He was a founder of the East India Company and in the 1590s gained rich rewards from financing the great buccaneering expeditions of Drake. Raleigh and Hawkins. Some of the profits went into his purchase of the Chirk estate in 1595, although he continued to live mainly in London. 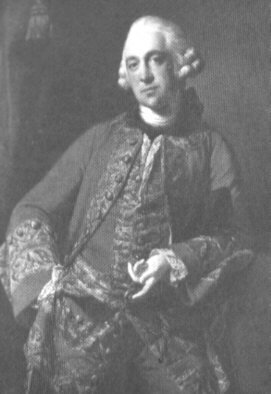 Over the following 400 years the Myddeltons acquired much land in the areas around Llangollen and Llantysilio.The estate was passed down through the generations and upon the death of Richard Myddelton in 1795 (see picture), and of his son a year later, Chirk Castle was inherited by his eldest daughter Charlotte. She married Robert Biddulph in 1801 and he changed his name to Myddelton Biddulph. It was their grandson Richard (1837-1913) who reassumed the name of just Myddelton in 1899. The Myddelton family continue to live at Chirk Castle, maintaining an unbroken connection with the estate. Lord Tottenham, the Bishop of Clogher, was a significant landowner in the area in the 19th century. In the 1850s Major Tottenham lived at Plas Rhysgog and afterwards the Tottenham family settled at Plas Berwyn. They were generous benefactors to the town and area. The great east window in St Collen’s Church was a gift from them and Berwyn Station was built for the use of the family in exchange for allowing the railway to cross their land. Indeed, Major Tottenham was a major shareholder in the new railway and one of the major movers in getting it built. TheTottenhams left Plas Berwyn and moved to Canada in the 1950s. Eleanor Butler and Sarah Ponsonby moved into the small stone cottage of Pen y Maes in 1780, having run away from their families in Ireland two years previously. Re-naming it Plas Newydd (New Hall) they made extensive improvements to the house and created new gardens. 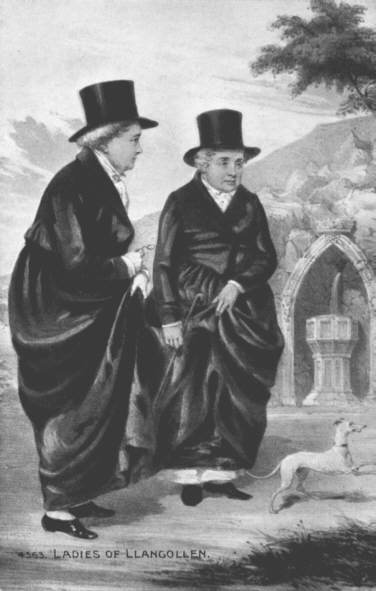 The ‘Ladies of Llangollen’ finally purchased the house in 1819 and went on to live there until their deaths in 1829 and 1831. Over the years they became known for their eccentricity, preferring always to dress in dark riding habits, and played host to many famous people, including the Duke of Wellington, Sir Walter Scott and William Wordsworth. After the death of the Ladies Plas Newydd was purchased by another two spinsters, Amelia Lolley and Charlotte Andrew, who attempted to emulate the Ladies’ lifestyle. W.T. Simpson moved to Llangollen and was so charmed by the beauty of the surrounding countryside and the former political importance of the neighbourhood that he was moved to make some notes on the history of the area. H was advised by some of his friends to publish and in 1827 ‘Some Account of Llangollen and its Vicinity’ was presented to the public. This small volume is an invaluable record of the town and area at the beginning of the 19th century. 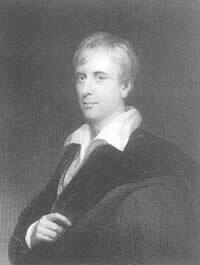 George Borrow’s account of his tour through Wales in 1854 gives a fascinating glimpse of life in a different age. We are fortunate that Borrow based himself in Llangollen for an extended period during his time in Wales and as well as exploring the town journeyed out into the surrounding neighbourhood. Borrow was over 50 when he planned his incursion into ‘Wild Wales’. Save for one tour in Middle Europe and a recent visit to Cornwall, he had long been settled in the neighbourhood of his birthplace, East Dereham in Norfolk. Had Borrow consulted his publisher before planning his holiday, he would have been reminded that no ordinary Anglo-Saxon reader of the 1850s had the remotest interest in the life and letters of Wales. But this was one of the very reasons that had induced Borrow to study the Welsh vocabulary and the poetry of the bards. His pilgrimage to Wales was undertaken principally to satisfy his own curiosity. Borrow had written a number of books before publishing Wild Wales. He had won acclaim with two early Spanish books and then lost it again when he published Lavengro. Romany Rye was in his publisher’s hands as he embarked upon his tour of Wales, but was to remain there for 3 whole years before being printed. Wild Wales did not achieve any level of early success when it was first published in 1862, being little to the taste of Borrow’s contemporaries. It was only in much later times that Borrow’s work was recognised as being the excellent diary that it. Wild Wales is probably the best invitation to Wales that has ever been written in English and reveals much about Wales and the Welsh, as well as giving an insight into the author himself. Thomas Pennant was born in 1726 at Downing Hall in Flintshire. It was a small house with a large garden and this started an early interest in nature. His early schooling was in Wrexham and then he went to school in London and on to Queens College Oxford. Whilst at Oxford he went on his first tour and afterwards went on to travel on the continent. Most travellers of that time depended upon their own resources but Pennant was quite willing to entrust his travel arrangements to others. The biggest influence on him was Edward Lhuyd and, like Lhuyd, Pennant sent ahead questions to prominent people in local society to first ascertain the lie of the land. Pennant was non Welsh speaking and to overcome the problem of not being able to understand local people he relied upon his friendship with John Lloyd – a schoolmaster and historian from Caerwys who went with Pennant on all of his journeys through Wales. Indeed, so great was his reliance upon John Lloyd that there remains some question as to how much of Pennant’s work was recorded by him and how much by John Lloyd. Pennant’s work was enriched by another companion, Moses Griffith, who was employed by Pennant to illustrate his books. Griffith’s sketches were accurate in detail and this helped to sell many of Pennant’s books. Pennant journeyed through Wales going from one large estate to another. This let hin inspect the contents of many of the libraries of the large landowners, but also prevented him to a large extent from meeting many of the ordinary people. Pennant’s ‘Tours’ are presented as a continuous journey but were in fact compiled from many separate individual excursions. He wrote his autobiography, called A Literary Life, in 1793 and died in 1798. Edward Lhuyd lived between 1660 and 1709. He was the first Welshman to place Welsh studies on a firm foundation, analysing the linguistic links between countries where Celtic languages were spoken. In addition he was an expert geologist and botanist and won recognition throughout Europe. Lhuyd's two great contributions to the history of the Llangollen and Llantysilio area were his recording in 1696 of the inscription on the fallen Eliseg's Pillar and a volume of writing that he produced entitled Answers to Parochial Questions - a sort of glossary of people and places existing in the area at the time of his visit in the late 17th century. The Reverend Bingley was a resident of Cambridge when, in 1798, he was induced by accounts that he had heard to 'appropriate three months to a ramble through all the most interesting parts of North Wales'. He had previously made a number of tours through many parts of northern England but declared that the four counties of North Wales that he visited (Denbighshire, Caernarvonshire, Merionithshire and Anglesey) were far more interesting. The Reverend Bingley travelled mainly on foot and around 15 pages of his volume on North Wales are give to descriptions of Llangollen, Llantysilio and the surrounding area.